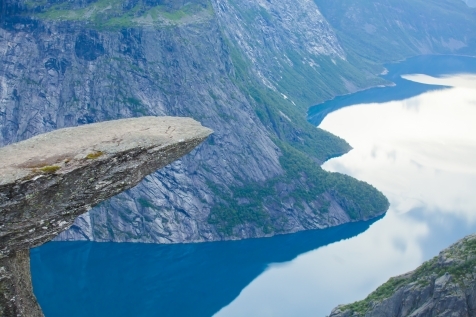 Pulpit Rock and Trolltunga are two of the most iconic images of the dramatic fjord landscape in Norway and this self-guided tour takes you to the heart of the action. It takes a degree of effort to be able to add these photos to any album, as a result we have crafted this trip so that it also suits a group of friends with differing agenda’s. Based in Stavanger and the heart of the Hardangerfjord, there are ample activities to suit those who are physically fit and those that would enjoy a more relaxed break. Fly to Stavanger and pick-up your hire car from the airport. Drive to the Clarion Collection Hotel Skagen Brygge and check-in. This award-winning property is located on the waterfront and near to Stavanger’s picturesque old town. Warm contemporary rooms await your arrival, as does complimentary afternoon waffles and a light buffet supper (served between 1800-2100). The remainder of your day is at leisure to explore the surroundings and prepare for tomorrow’s hike. Enjoy a hearty breakfast before today’s activities. 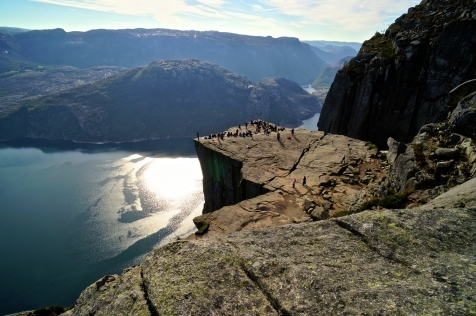 ‘Preikestolen’ is one of Norway’s most visited attractions. Towering 600m over the Lysefjord, the 25m x 25m flat rock ‘viewing platform’ with its sheer sides was created over 10,000 years ago by melting frost. A round trip hike takes approximately 4-hrs and this is by no means ‘an easy stroll’. The trail varies from completely flat wooden walkways to uneven pathways strewn with boulders, to some steep inclines. A degree of physical fitness, good walking shoes and waterproofs are essential and remember to take a packed lunch! We have included return ferry and bus transfers to/from the starting point of the hike (approx. 1 hour each way). Alternatively, those wanting a more sedate day, can enjoy the Pulpit Rock from sea level. Take a 3-hr cruise along the Lysefjord which offers cascading waterfalls, stunning nature and of course a dramatic view of ‘Preikestolen’. Back in Stavanger, explore the narrow cobbled streets and wooden houses of the old town, visit the Norwegian Petroleum Museum or Stavanger Cathedral, the only church in Norway that has been in continuous use since the Middle Ages. The remainder of your day is free to enjoy the long summer evening. After breakfast, leave Stavanger behind and set off for Hardangerfjord, a region rich with cultural heritage and the ultimate challenge - Trolltunga. There are several routes that you can take, but we recommend following the National Tourist Route Ryfyflke. It is a full 6 hr. drive (approx. 250 km) but the attractions and scenery along the way make it more than worthwhile. Stop at Allmannajuvet, a disused mining works, now a museum. Høse Bru is a stylish footbridge spanning the Suldalslågen river. Enjoy the viewpoint at Lovra and climb the 540 steps alongside the mighty Svandalsfossen. The road can be narrow and steep in places, especially over the mountain road at Røldal, so do check that it is open before you set off. 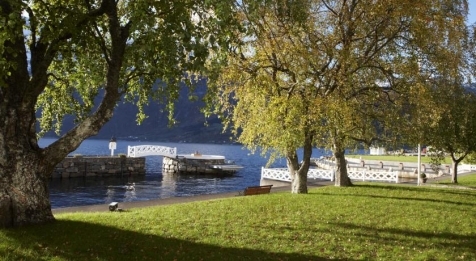 Emerging at Odda, the final stretch of your journey is along part of the Hardanger National Tourist Route, the end of which you will find the welcoming Ullensvang Hotel at Lofthus. 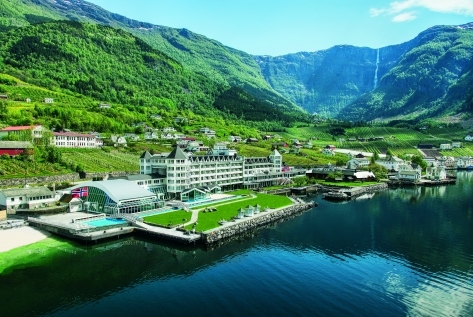 Check-in to your fjord view room for the next 3 nights and enjoy dinner in the buffet restaurant. If you are planning on hiking to Trolltunga tomorrow, be sure to let reception know if you want them to prepare a lunch bag for you (payable locally). The hike to Trolltunga is a challenging 8-10 hour hike from the starting point, just 25 minutes’ drive from the Ullensvang Hotel. The classic 11 km trek has an elevation of 1000m and is clearly marked. There is however no mobile coverage in the area and the weather can be extremely changeable. This unguided trek should only be undertaken by experienced hikers. Start before 09.00 and there should be plenty of time to get back to the hotel in time for dinner, which is served until 21.00. For those not wishing to undertake this trial, there is plenty for you to enjoy. The Ullensvang has an indoor/outdoor pool and wellness area with Jacuzzi, sauna and Japanese foot massage pool. There are plenty of areas in which to curl up with a good book and enjoy the stunning views. Dinner is served once again at the buffet restaurant, where every table has a view of the fjord. After a restful sleep, enjoy the extensive breakfast on offer. Today is at your leisure. Stay close to the hotel, where you could rent a boat or bike. Hop in the car and drive to an arm of Folgefonna Glacier, take a ferry to the Folk Museum at Utne, visit Eidfjord for Vøringsfossen and the Norwegian Nature Centre, or enjoy a cultural visit to Baroniet Rosendal; Norway’s smallest ‘castle’. Return to The Ullensvang Hotel for dinner. It is time to leave this fjord-side idyll and head towards Flesland airport, Bergen, which is an approximate 3-hr drive away. By taking the early evening flight, there is plenty of time to enjoy a leisurely drive back. 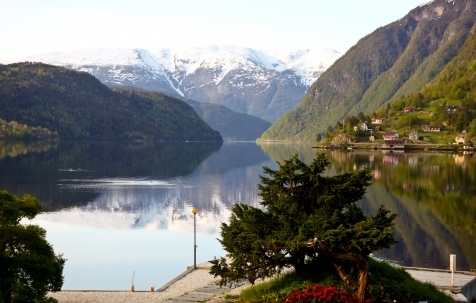 The route is accompanied by stunning scenery at every turn and there are plenty of attractions to enjoy along the way, including Steinsdalsfossen, where you can walk behind the cascading waterfall and the mountain town of Voss. Drop the hire car off at the airport and check-in for your return flight back home. Return ferry and bus transportion to/from the starting point for hiking to the Pulpit Rock OR 1 x Lysefjord and pulpit rock fjord cruise. 6 days (6x24hrs) Group B car hire including CDW, unlimited mileage, theft protection, applicable taxes and one way drop off fee. The hikes mentioned are unguided and appropriate preparation and safety guidelines should be followed. Guided treks of both the Pulpit Rock and Trolltunga can be arranged at a supplement.